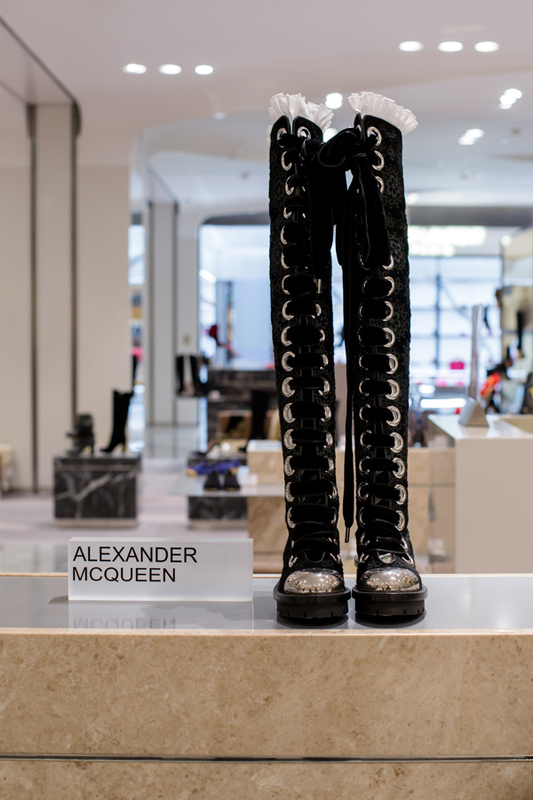 A dedicated brand space of Alexander McQueen has opened in Shin Kong Place, the extensive department store in Beijing. 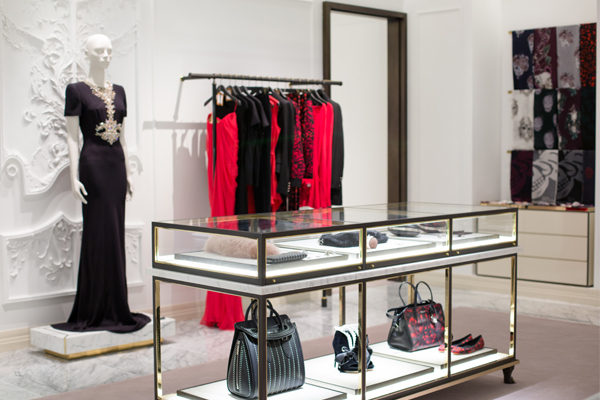 The new retail concept was conceived and realised by Sarah Burton, Creative Director of Alexander McQueen in conjunction with the David Collins Studio. 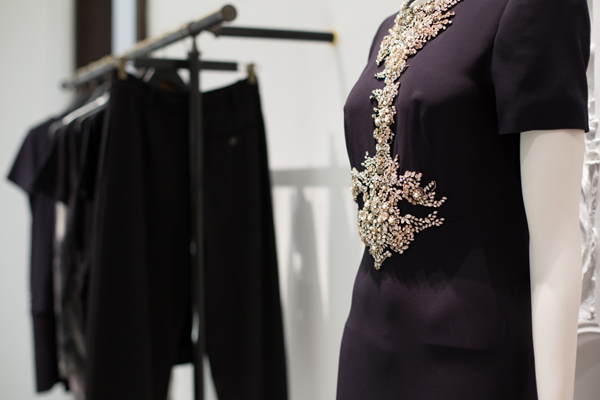 The 120 square metre store offers women’s ready-to-wear runway, as well as commercial collections, which boast a wide range of designs, from couture-worthy craftsmanship to classic knitwear pieces. The light and airy interior is embellished with enchanting motifs such as wings, shells, cactus flowers, seahorse tails and tangled leaves on the plaster panels. Signature skulls and grimacing gargoyles add a touch of dark romance to the ambience. 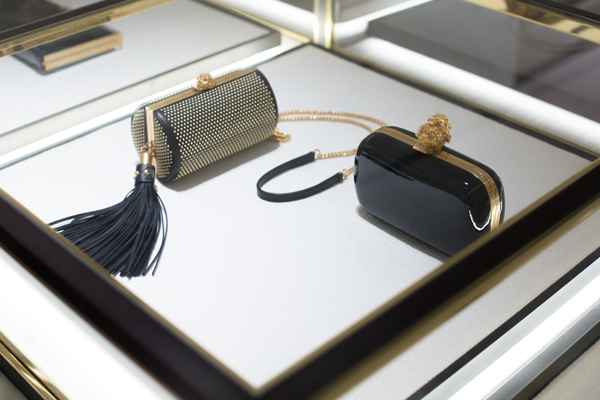 White marble floor is in stark contrast with black lacquer and aged brass hanging rails. 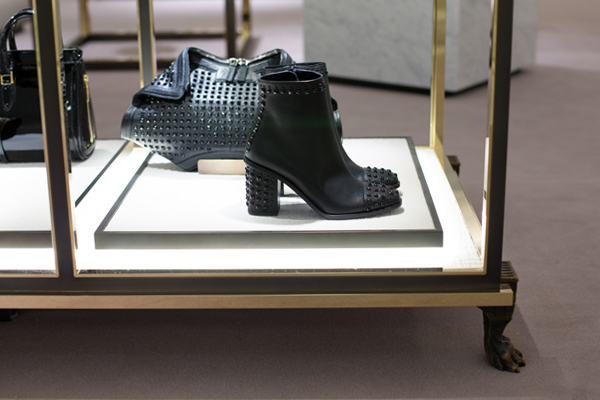 Together, they formed the most visual backdrop of the Spring Summer 2015 series of collections. This season, Burton took us on an oriental journey through a myriad of blown-up floral prints, structured kimono-esque dresses and ethereal fluttering tiered petal dresses. 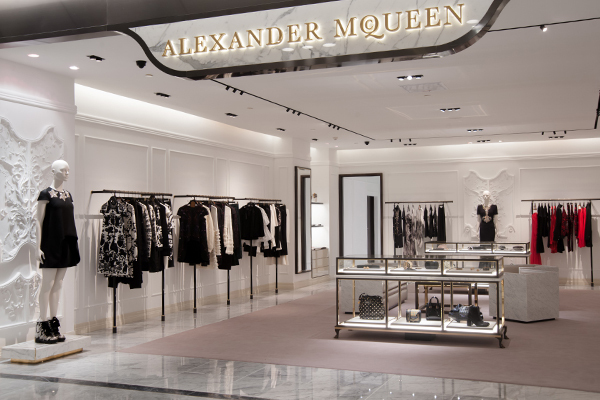 Alexander McQueen once again expands its retail portfolio and enhances its presence. Great news for fans and fashionistas in Beijing.